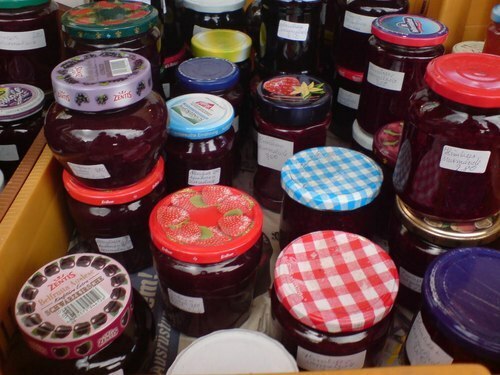 Sheena Iyengar (a professor at Columbia University, author of the Art of Choosing and someone praised by Malcolm Gladwell) conducted an experiment called the Draeger Jam Study. She set up two tasting booths, one with six jams and the second with 24. (1) The six jam table had 40% stop to sample and the 24 jam table had 60%. (2) The six jam table had 30% of the people (who had stopped to sample) actually purchase the jam. The 24 jam table had 3% of the people purchase it. This is a six times difference. Finding: The number of choices can negatively or positively influence the likelihood that someone will be attracted to a product. In addition its influence over the likelihood that they will buy the product, compared to attracted to the product, is completely different. Practical Application of Theory: On our digital channels we should convey that we have a wide selection of different products to get that initial click/people in the door. However, in order to get the actual purchase, our selection ideally would be limited and concise. For example we can test this on display banners that show multiple niche offers. We must brainstorm how to attract yet convert which the jam study was unable to do. Study 2: Consumers were presented with two separate rack of both 600 and 400 magazines. The consumers were asked which had more and they could not tell. Then the 600 magazines were grouped into ten categories and the 400 magazines were grouped into 25 categories. The consumers were asked which had more and they said the 400 magazines did. (1) People cannot count/register such big numbers such as 600 and 400. (2) Our marker for variety is not sheer number, rather our marker for variety is category because it tells us where the seperations are. (3) We can handle more categories than choices. We can handle 10 choices max but 20-25 categories max. The number varies depending on the situation and platform. When we are given a lot of choices we need/look for markers to differentiate the options in order to choose a winner. Popular thought would be more choices lead to paying less due to all of the competition. This is not always the case because of how price works. This is because in the situation of a lot of choices price becomes a marker. Therefore the answer to what one chooses lies in if the product being chosen is a low-end or high-end good. When we are presented with many choices that is when we start to rely heavily on price. If the product is low end, and you are presented with numerous choices, you are likely to purchase the cheapest one. Now this is a little tricky but to relate this to the earlier jam study. Keep in mind jam is defined as a low end good. You would pay more if you saw six jams versus if you saw 24. The less options you have the more likely you are to pay more. Example: eBooks are defined as a high end good because they are information. Therefore if you sell eBooks for a living you might notice if you bump up your eBook price you will sell more than if you discounted it. Practical Application of Theory: Products within a website should be clearly categorized in order to simplify the process of selection/choosing for the consumer. Example of good website navigation that has effectively implemented categories: Zappos.com. We now have a lot of different offers/packages that we didn’t have before. We should re-evaluate how all the offers/packages are displayed under one section only titled “Offers”. We should test out the three by three rule on our packages gateway page and possible the menu too. For example: Group all Show Packages together instead of listing out each one.